DARIEN — Sarah Keena is well-known around Darien. For the 15 years, Keena has been portraying Mrs. Bates at the Bates-Schofield House at the Darien Historical Society. Keena got involved with the tours when her daughter, now 22, was a second-grader in Darien. Susan Bhirud, the former librarian at the historical society, asked Keena if she’d like to help with her daughter’s field trip and give tours of the house. Keena has now been donning the Mrs. Bates skirt for over a decade, to the point where she was one time at the YMCA for her son’s swim lessons when a little girl waved, came up to her and asked where her dress was. Now Keena is offering tours to third-graders as part of the district’s new curriculum. Due to shifts in state frameworks, the district now focuses on having students learn about their hometowns and home state in third grade. Previously, first graders were getting tours of the historical society home. 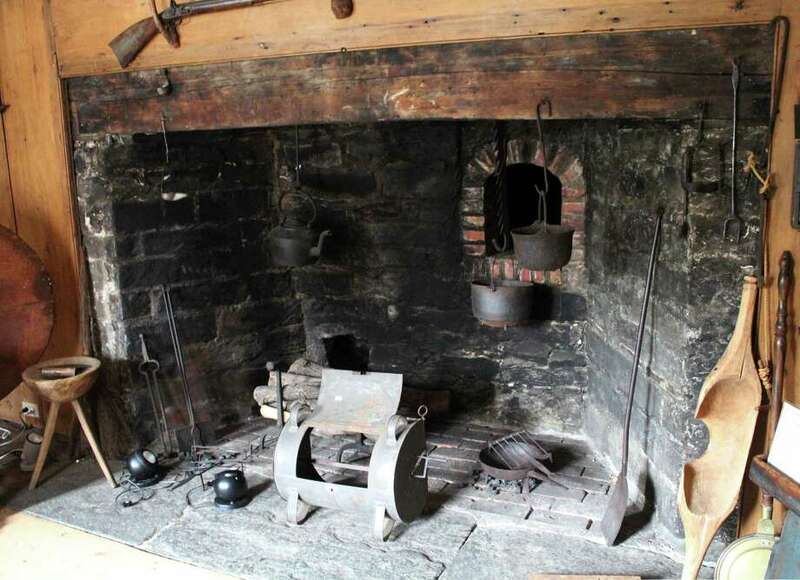 But now third-grade teachers have collaborated with the historical society and Keena to create “Darien: Then and Now” where students get a taste of what life used to be like in their hometown. According to Maggie McIntire, the new director of the historical society, the students enter a “time machine” and go off to different parts of the house for lessons on maps, the history of the town and how people live. Students go through activities like matching a colonial object to its modern-day counterpart. Keena, who meets with school officials yearly to help figure out a program that will fit into their curriculum, said the third graders are more hands-on and engaged than the younger students who previously came in, allowing for more freedom with the program. As Mrs. Bates, she starts off explaining the workings of the homestead kitchen by making the students sit on the floor and making them figure out they’re sitting there because that’s where Mrs. Bates’ nine children had to sit since there weren’t enough chairs for all of them. She also teaches them about colonial “recycling” and how every appliance in a modern-day kitchen is replicated in a colonial one. “When you attach names, the kids start to own it,” Keena said, adding that many students end up returning to the society on the weekends because they’re so excited after their field trip. Gillette said she was particularly excited when she saw students comparing maps of Darien throughout the years. In addition to the shift in district field trips, the historical society is hoping to get more involved with district curriculum, as well as expand their children’s programs. Keena already gets into costumes for children’s parties and is training high school docents to give tours of the home as well.